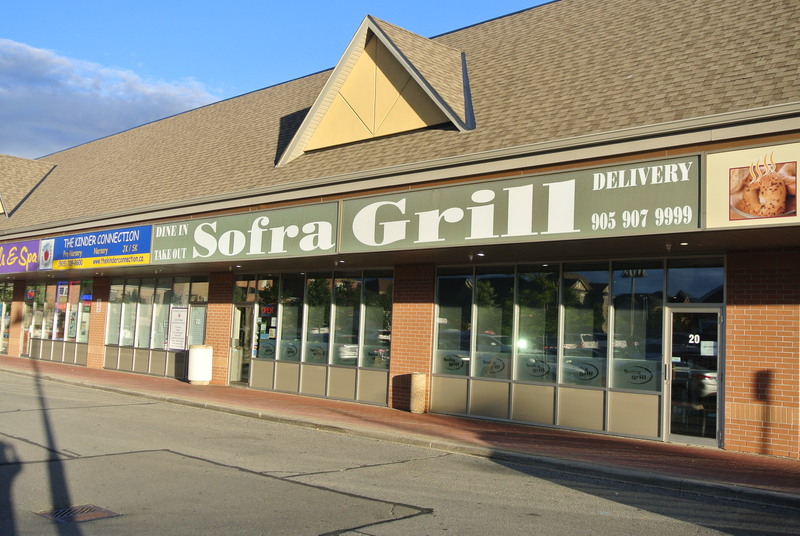 Sofra Grill is all about Mediterranean and Middle Eastern cuisine. I visited the restaurant located in a strip mall north of the city. 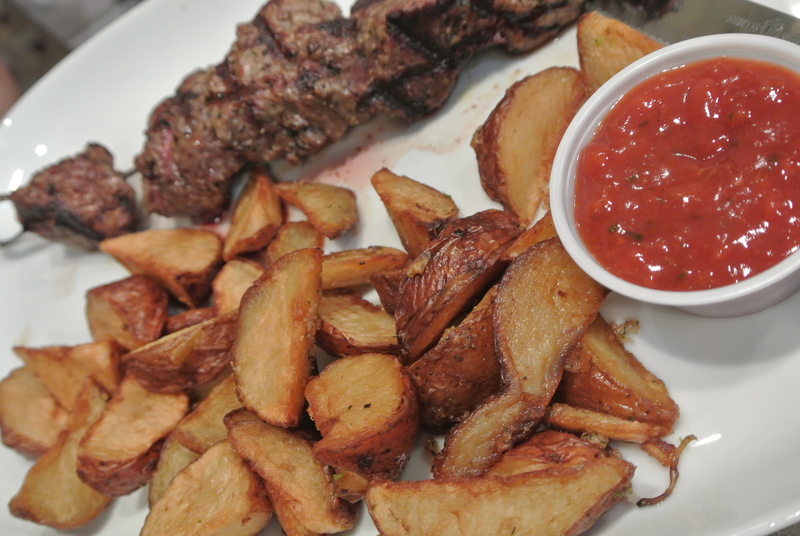 The main entrees are typical of most middle eastern restaurants with chicken, beef and lamb shish kebobs, falafels and kefta lamb kebobs. But the best part of the meal was the appetizer and the dips we ordered. Now I don’t know about you but whenever I make hummus it never turns out the same. 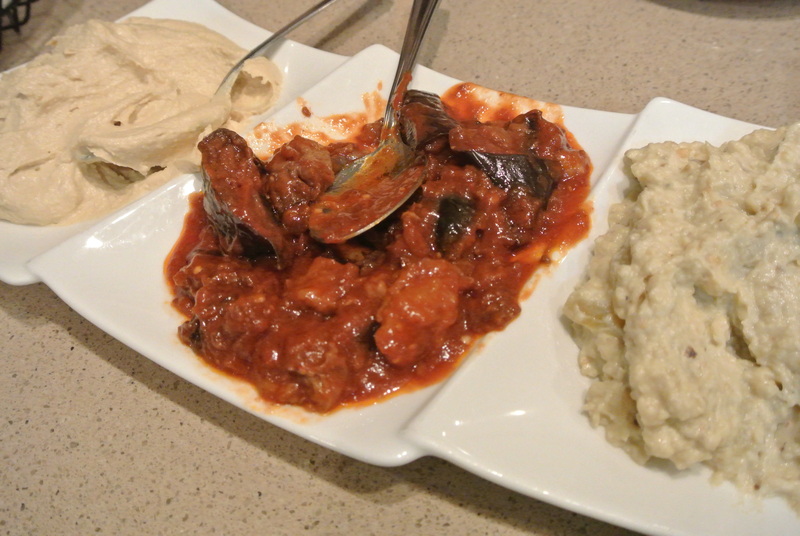 The hummus with tahini was smooth with a nutty flavour and the homemade baba ganoush was chunky with lots of garlic. But the red eggplant dip was the most delicious dip I have had in a long time. I thought it was marinara at first but this chunky dip had a bit of sweetness and was perfect with pita and as a sauce to dip my kefta lamb kebobs. The dips alone are worth the visit! Hummus with Tahini, Baba Ganoush and Eggplant served with pitas to dip. 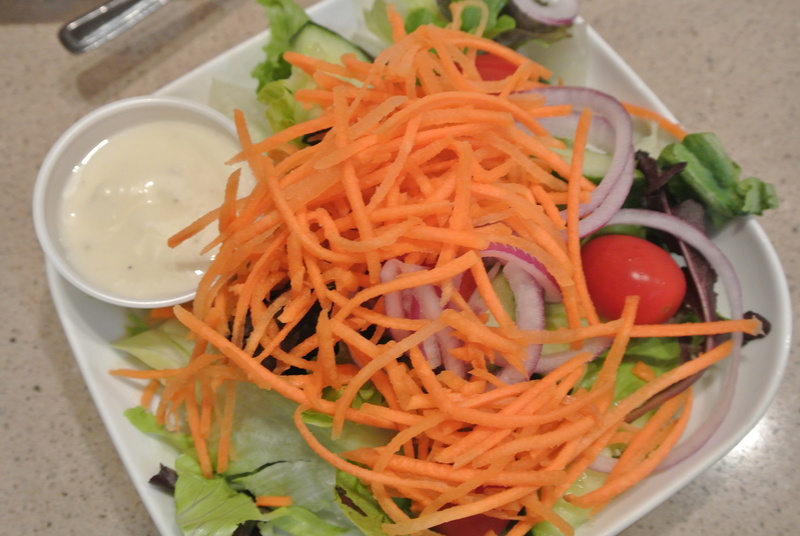 House green salad that comes with all entrees. 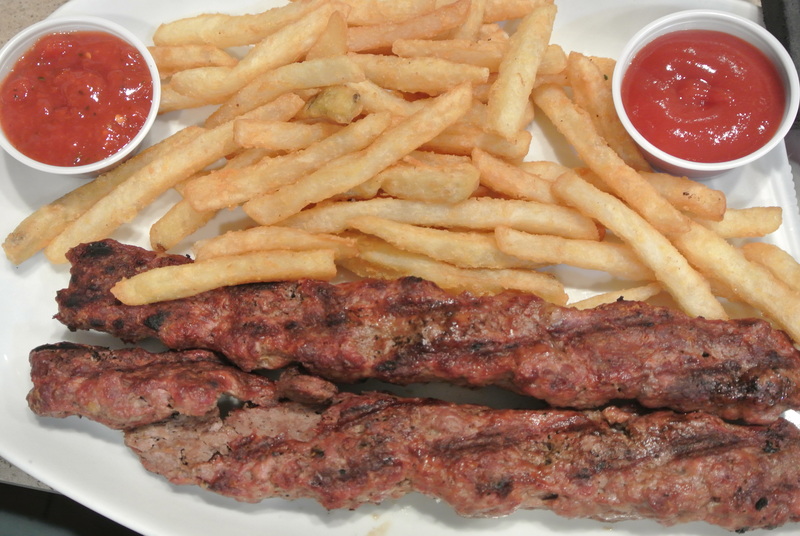 Kefta kebob entree – made with ground lamb and a special mix of spices.